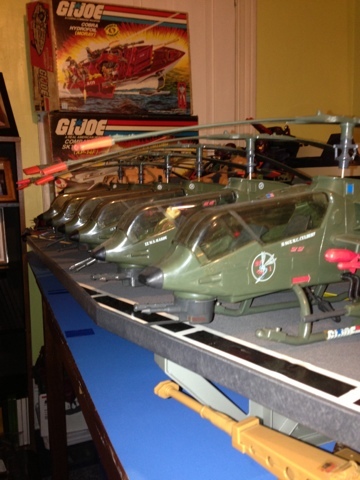 The Dragonfly is one of the coolest toy helicopters ever made. 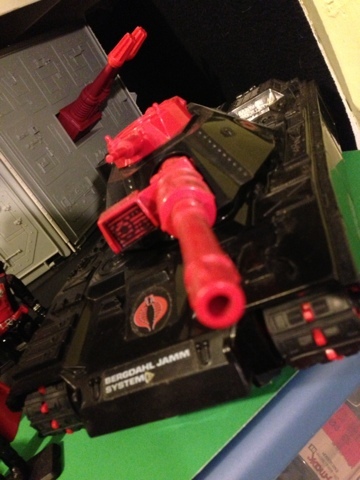 It's very similar to a real Twin Cobra helicopter. 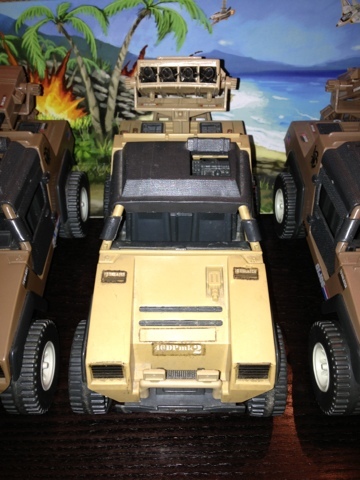 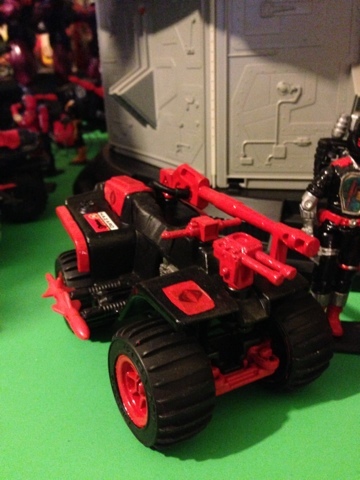 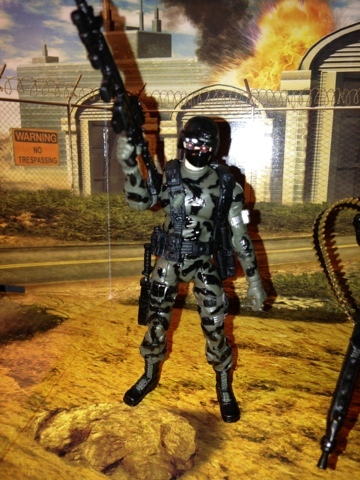 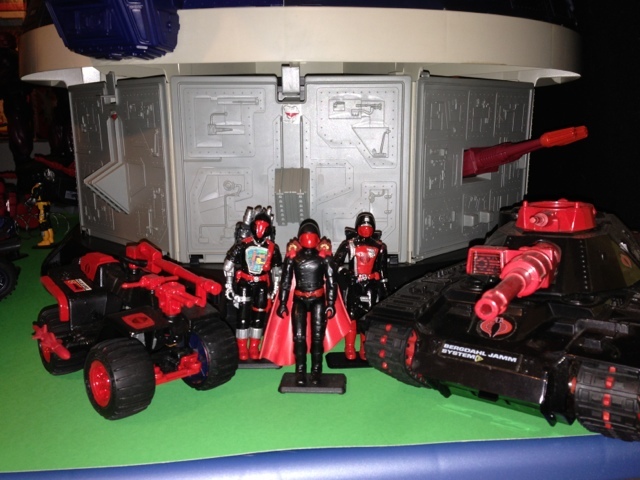 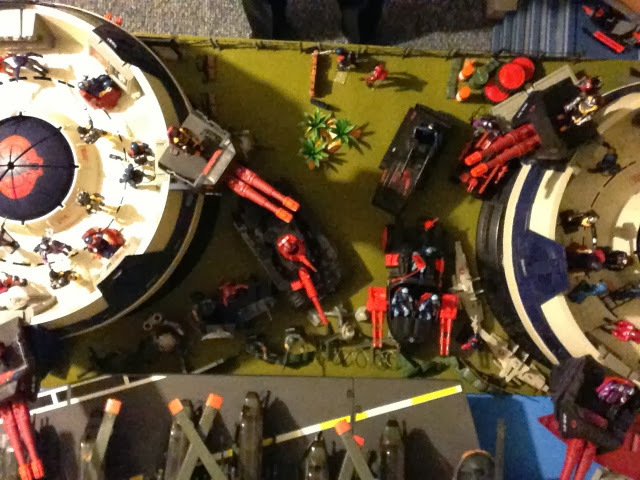 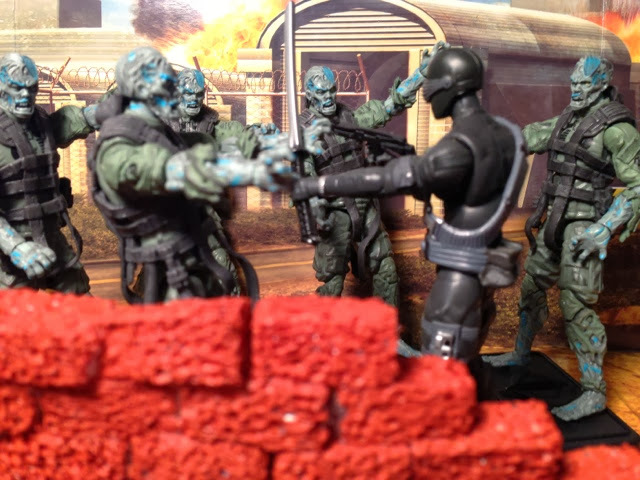 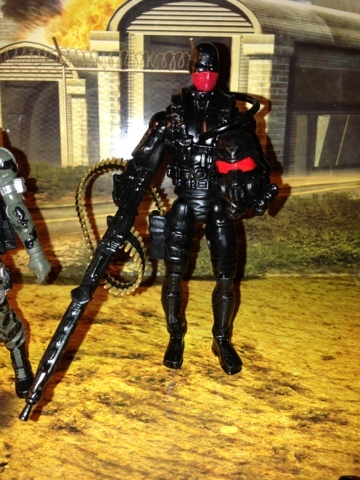 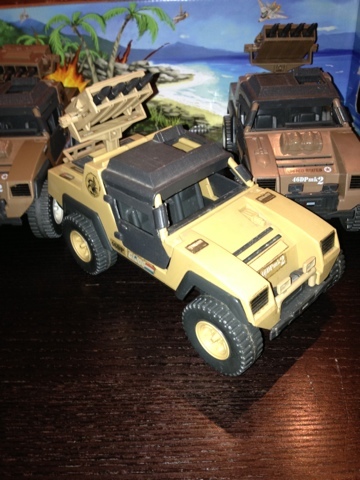 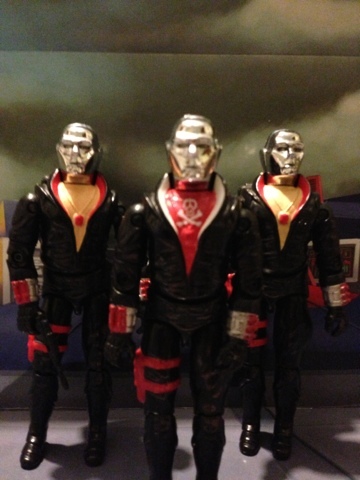 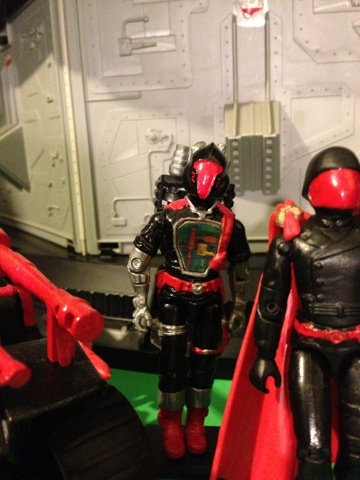 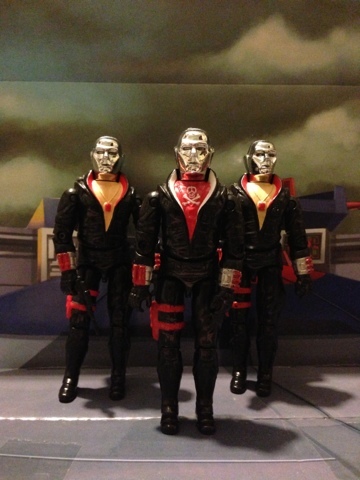 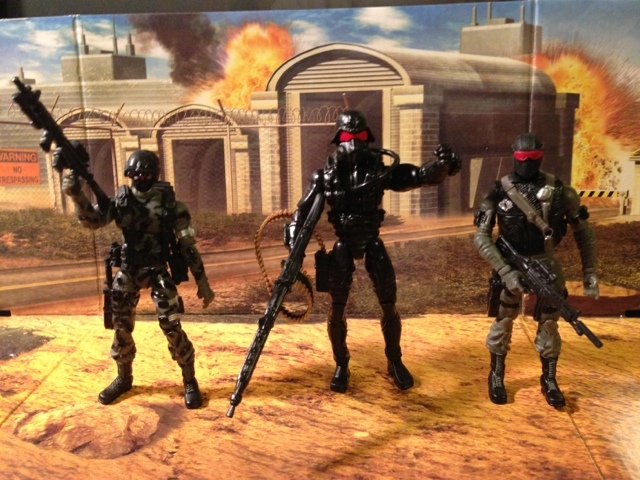 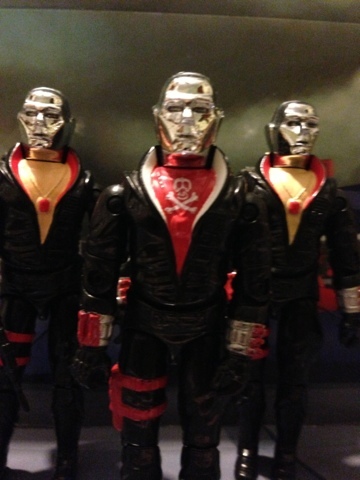 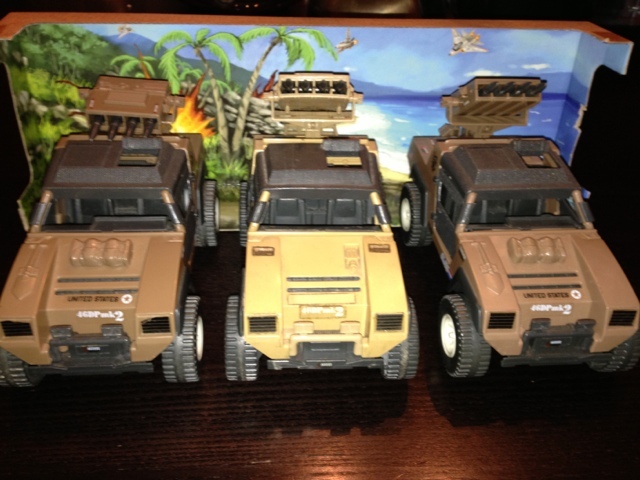 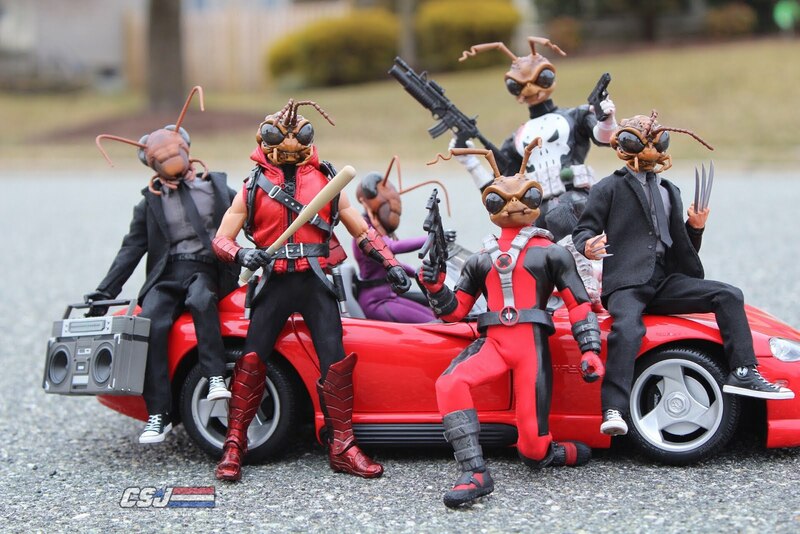 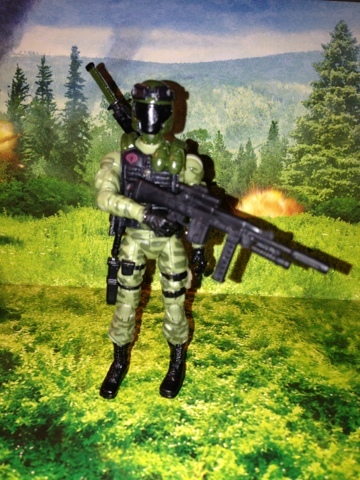 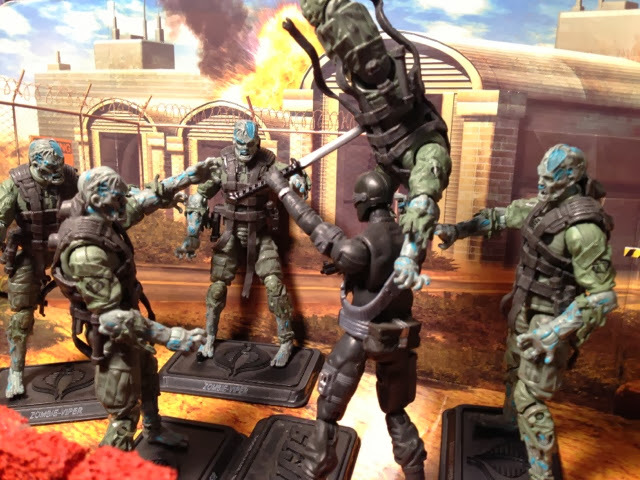 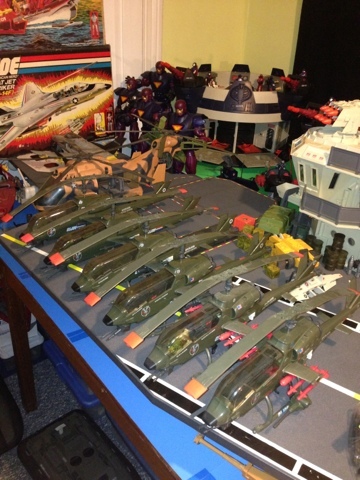 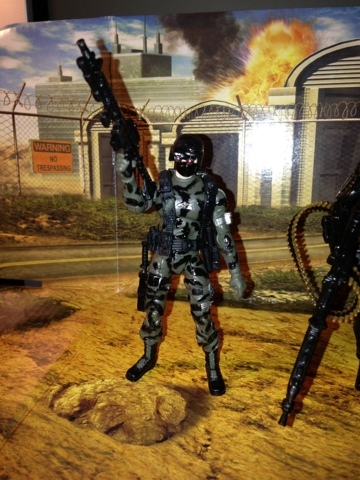 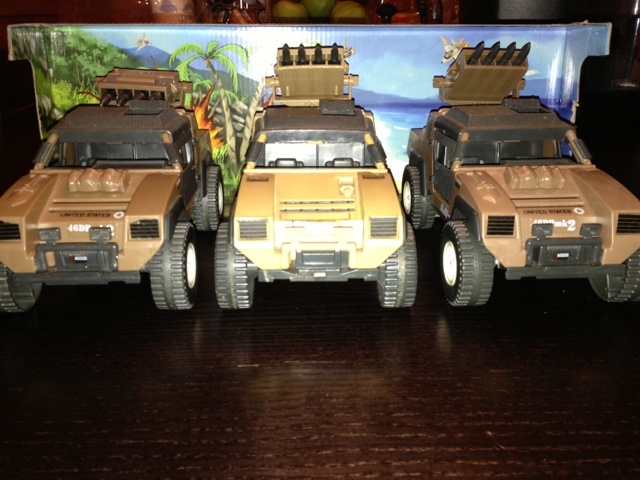 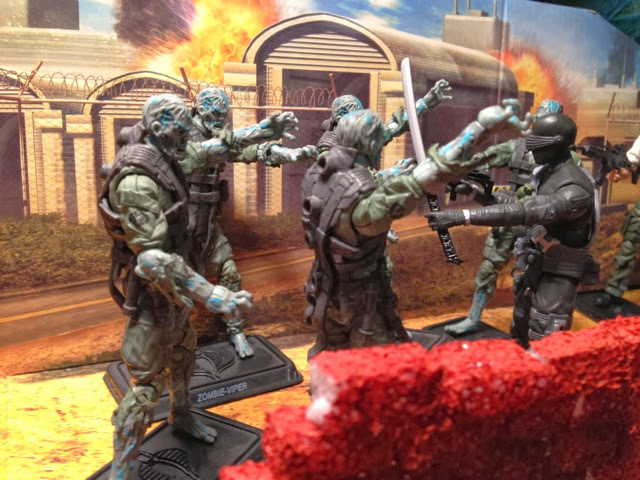 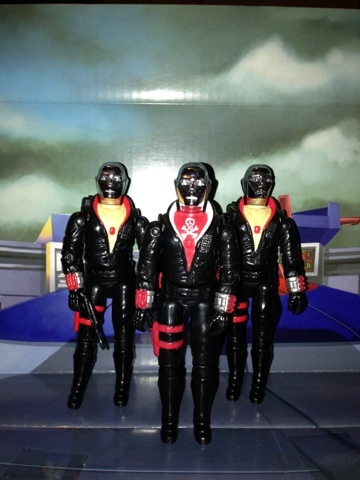 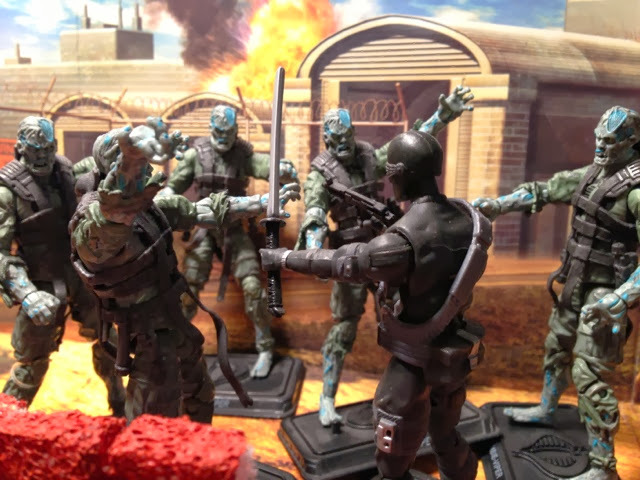 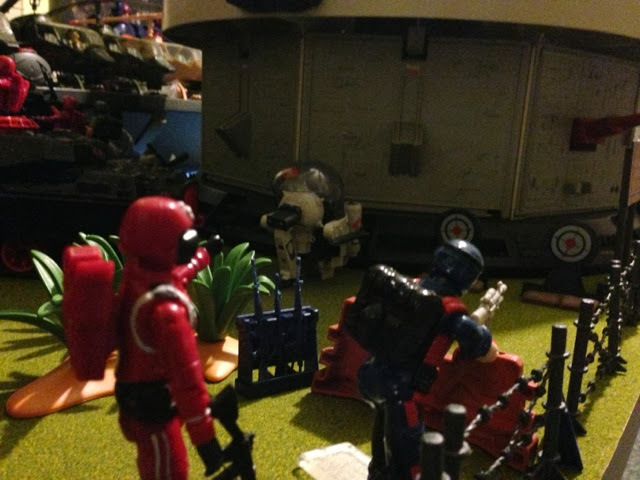 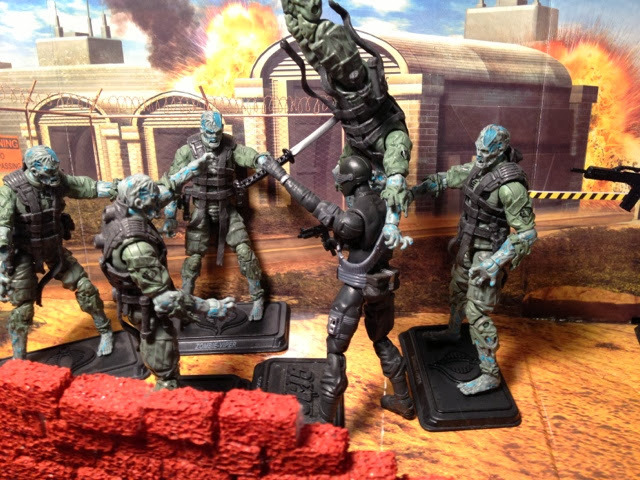 I have 6 of mine showing in these pics with 2 of them having red missle sets like in the cartoon. 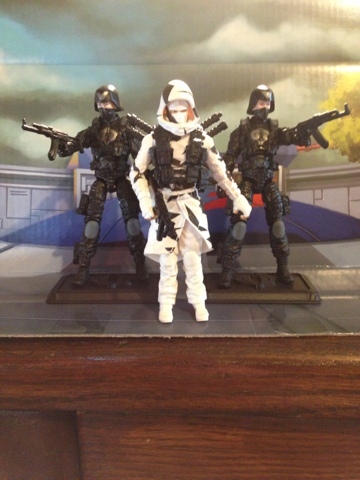 There are a few easily broke/bent parts on these so it's taken a little time to build up my squad. 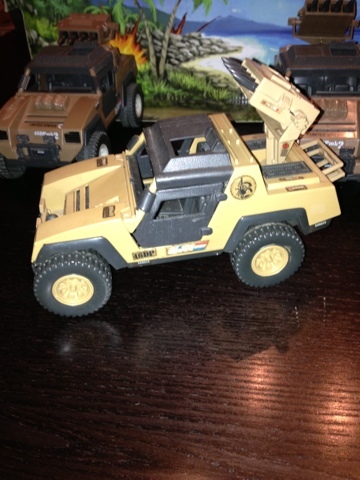 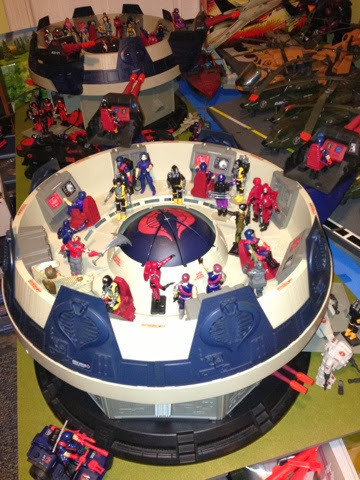 My brother received one for Xmas when I was young and I loved playing with it. 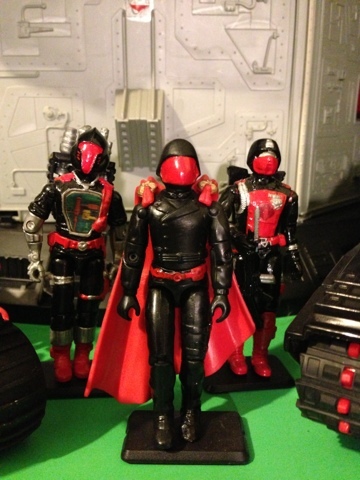 I currently don't have the tan version but hope to get one soon. 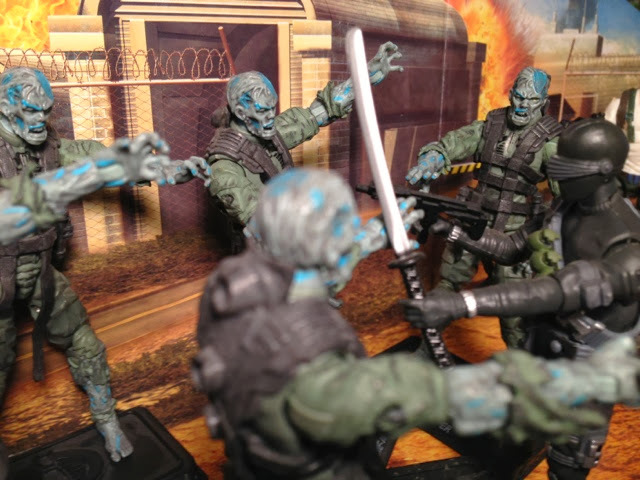 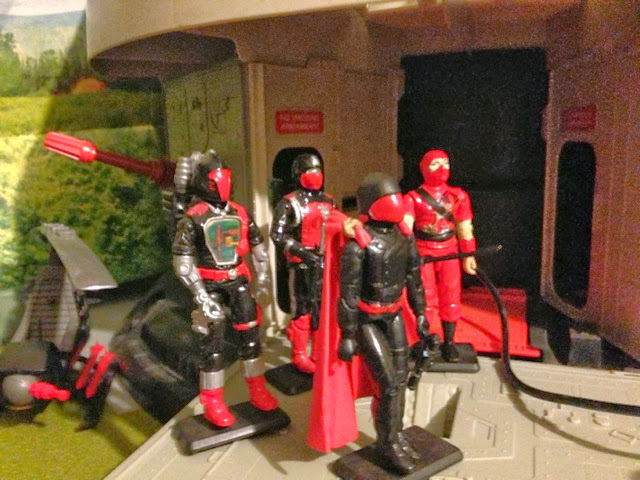 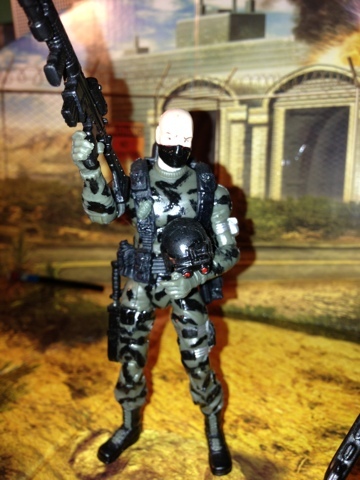 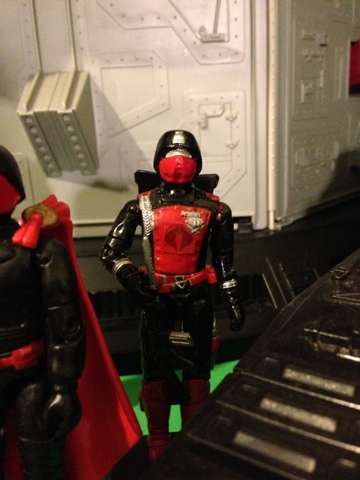 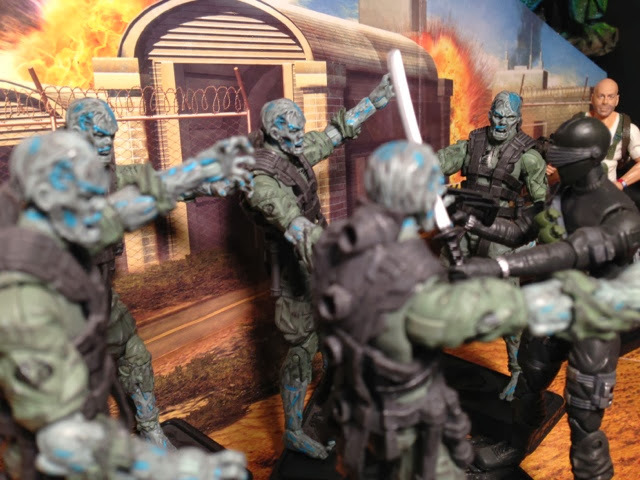 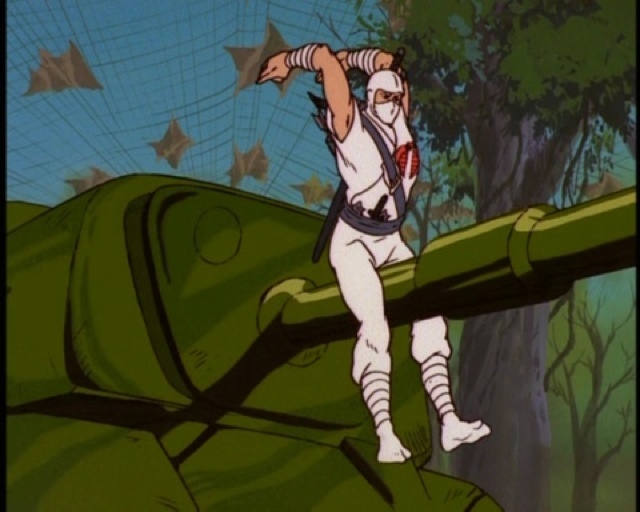 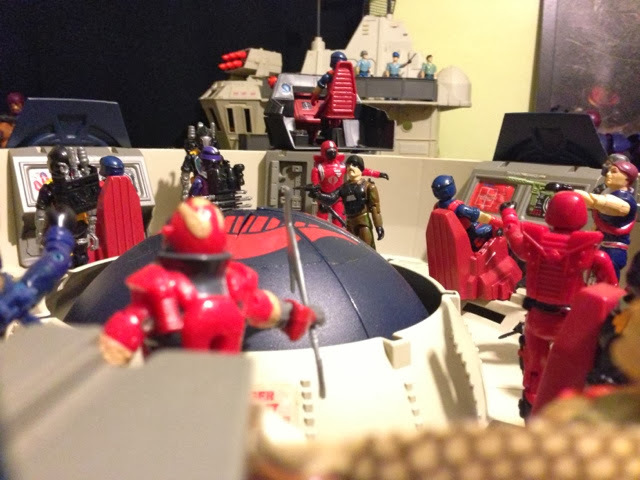 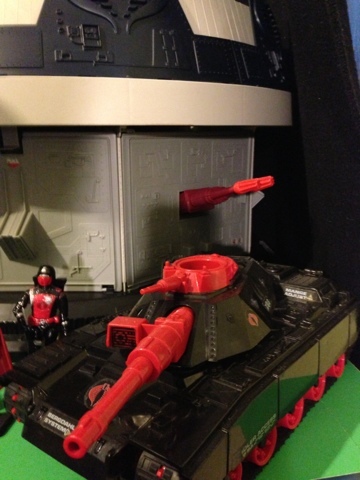 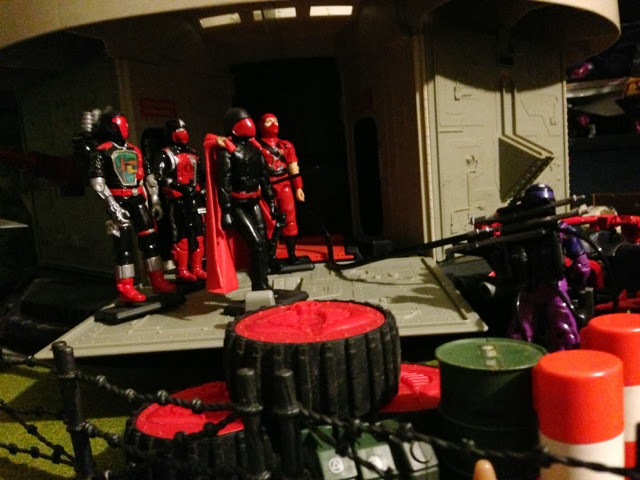 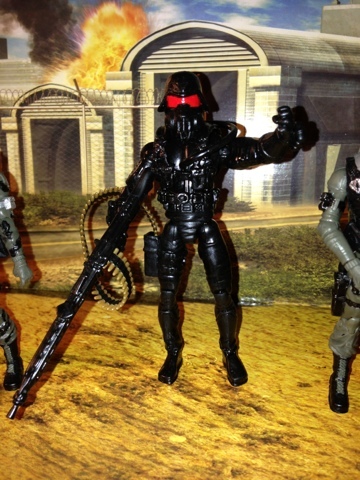 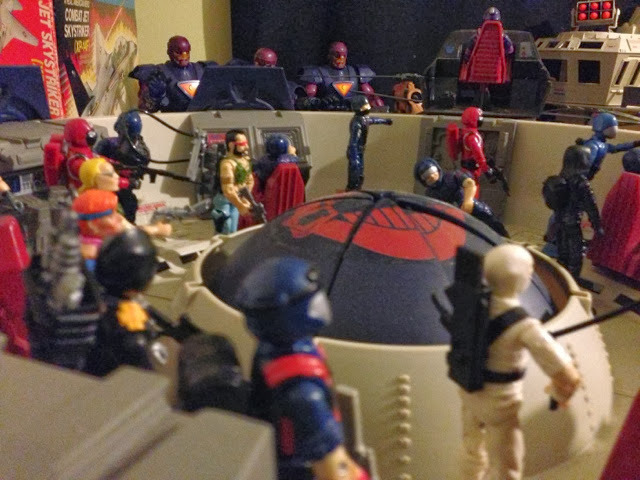 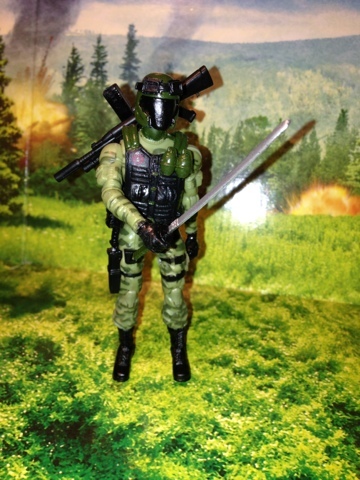 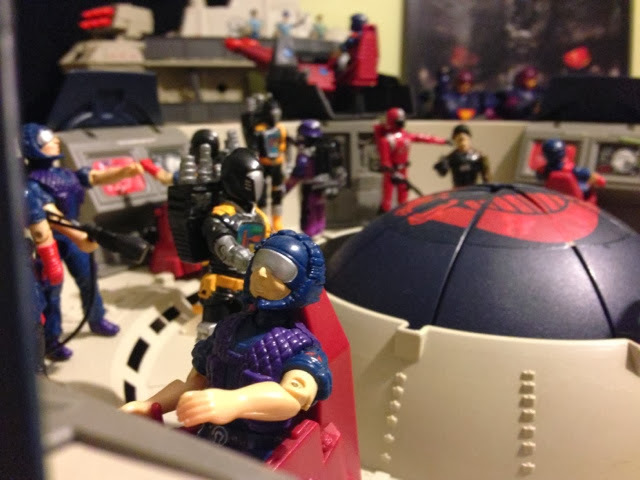 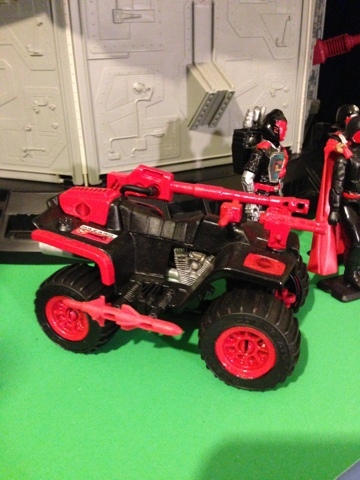 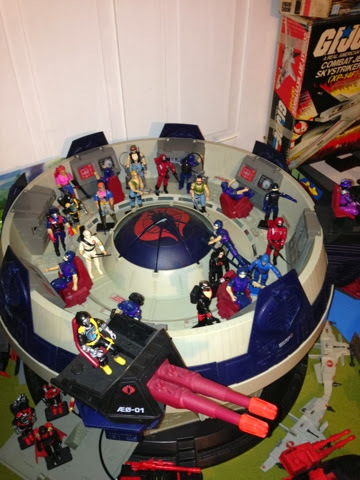 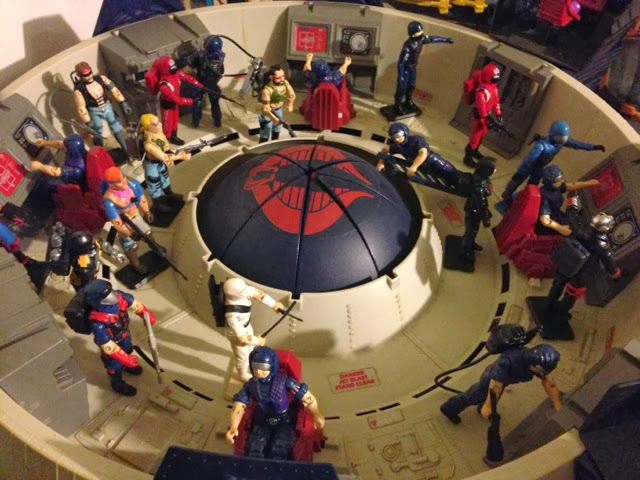 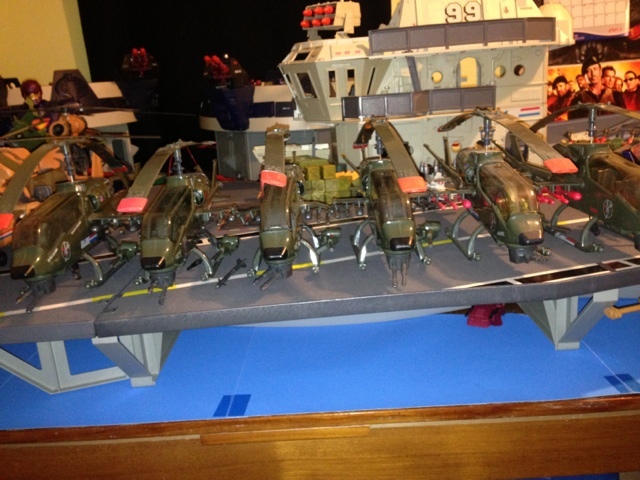 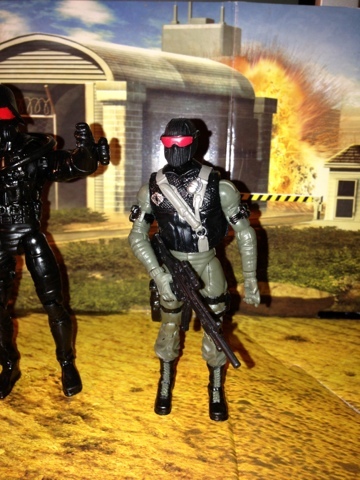 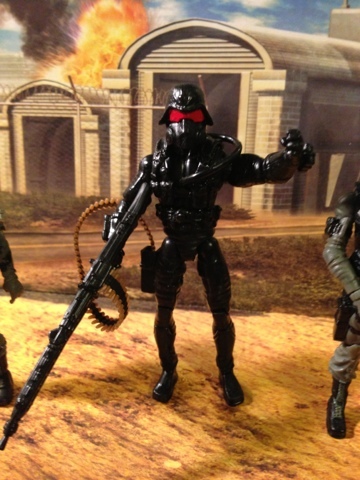 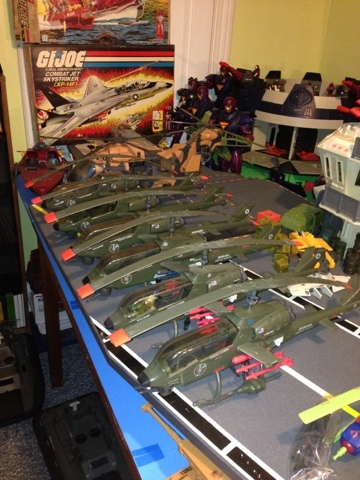 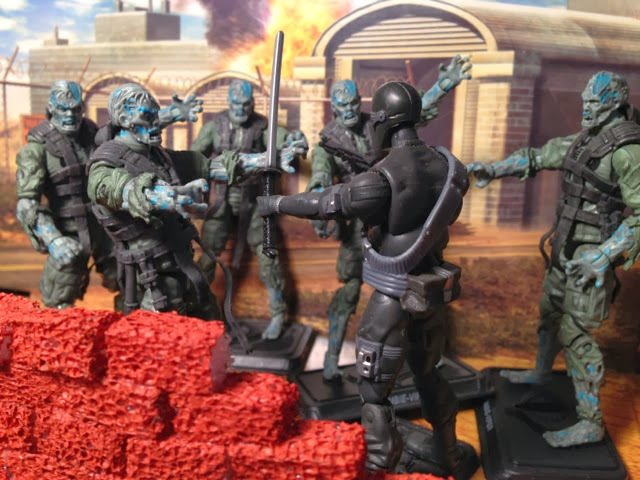 How does the Dragonfly rank in your GI JOE world?